Just a short trip outside Annapolis, Baltimore or Washington, DC, one will find truly sublime rolling pastures and picket fence lined horse farms. Apple and peach orchards adorn the countryside. Fields of barley, beans, and sweet corn are abundant for miles. These green, picturesque lands are such idyllic locations for family photo shoots. Youngsters romp and play. Puppies follow along, panting and yipping with glee. Parents look on with nostalgic eyes. The best children’s portraits, and family photos, are made in these moments. This photograph — one of my all-time favorites — was taken during a family portrait session on a farm in Upperco, Maryland, north west of Baltimore City. The gaze of both the young child and the lamb is so peaceful, so honest. The two sit comfortably together, at home inside the barn. Buddies. As I held my camera and gazed through its lens, I was awash in memories of my own childhood in Kentucky: the sweet-spicy smell of field grass; the low hum of insects; and delight at the sensation of wind in my hair as I rode atop my pony. 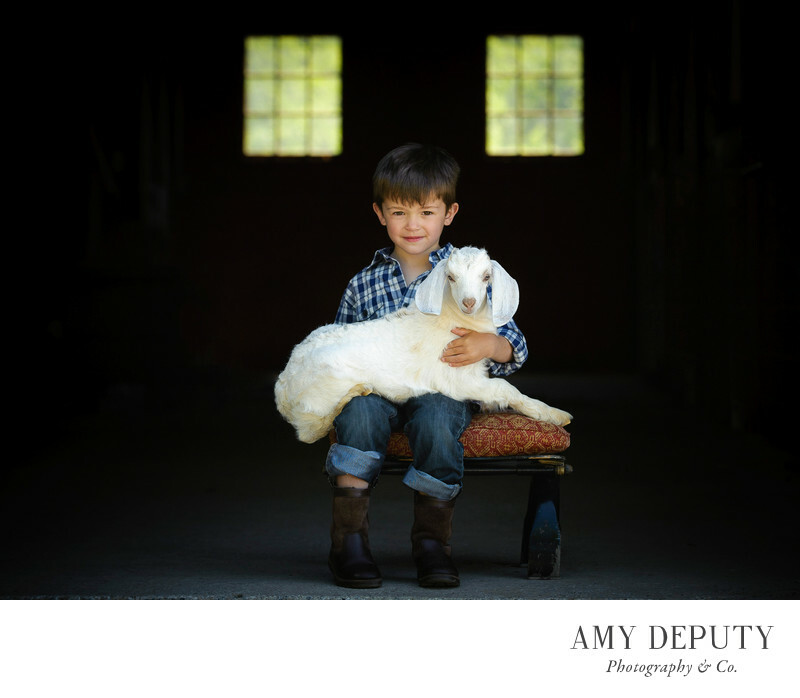 Photographing kids and families, especially accompanied by dear animals, is always a joy. The interaction of people of all ages with the natural environment around them makes for some incredible photos. This is how we all should be: at home with nature, in nature.